Glass is an ever-present feature of the modern world; it literally surrounds and protects us as we go about our daily lives. Glass surrounds our homes, our office spaces, our vehicles, and we even carry mobiles encased in glass in our pockets. Complete building facades are bedecked in glass, which goes to show that we have formed a lasting dependency on this remarkable material. While there is no single moment that confirms the exact date glass first entered humanity, we do know that our ancestors used it during the Stone Age. Archaeological excavations have unearthed trinkets made from obsidian, a black volcanic glass used long ago to adorn weapons, ornaments, and even coins. It is generally accepted that the Phoenicians were first to exploit the potential of the hard, transparent material we call glass. Mass production started from around 1200 BC in the Middle East. Rumor has it that the Syrians first discovered glass quite accidentally while cooking in pots placed over fierce fires on desert sand. Silicate glass is the most common form of glass in use today. Glassmakers produce it by melting silica-based sand at extremely high temperatures in furnaces to form molten glass. This in turn cools and hardens to form the transparent substance we call glass. The Syrians were not alone in stumbling upon revolutionary glass making practices. French chemist Edouard Benedictus invented laminated glass quite by accident in 1903. He coated a glass flask with the plastic cellulose nitrate and dropped it to the ground. Amazingly, it shattered but remained in one piece. Quick to realize its potential, it took Benedictus six years to patent his invention. Coincidentally, in 1905 John Crewe Wood, a solicitor in Swindon, England patented laminated glass for use in car windshields. Wood founded the Safety Motor Screen Company in 1906 to produce and sell his product to the automobile industry. Essentially, Canada balsam was the secret ingredient he used to bond layers of glass together to form a shatterproof windshield (windscreen in EU and commonwealth countries, windshield in North America). It does not take long for a good idea to find wings and spread! We call ordinary glass “annealed glass”. When struck plainly it can shatter and splinter into jagged-edged shards that can cause life-threatening injury. This type of glass is not good for use in homes and vehicles as they can present risks for home and business owners. In contrast, tempered glass is at least four times stronger than the annealed variety. Speaking technically for a moment, tempered glass must have a surface compression of around 10,000 pounds per square inch (psi) to conform to federal standards. 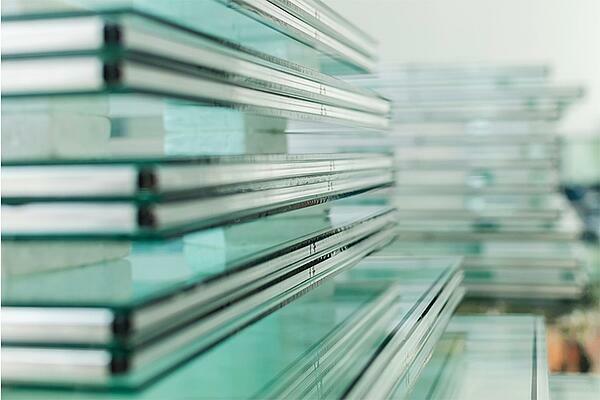 When choosing the right safety glass for use in your home or workplace, it makes sense to use shatterproof glass. If struck, it breaks into small random chunks making it much safer and easier to dispose of. Toughened safety glass must have a surface compression of at least 15,000 psi, but it can have as much as 24,000 psi. In keeping with the glass safety progression, CoverGlassUSA has taken the design of frameless sliding glass doors a step further. We make sliding glass panels that are at least five times stronger than regular tempered glass.